Hungry Bean joined our Mission to help provide access to “Clean Water for All by 2030”. This Mission was initiated by the United Nations. A big thank you to Hungry Bean’s team and customers for joining this extremely important mission on 12 December 2017. 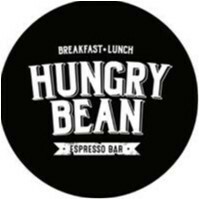 Hungry Bean Cafe is one of the best cafes in Sydney CBD! At here, We not only provide scrumptious coffee and food, but as well as the marvelous atmosphere for you -- either for a serious business meeting or a fun time gathering with your family and friends.